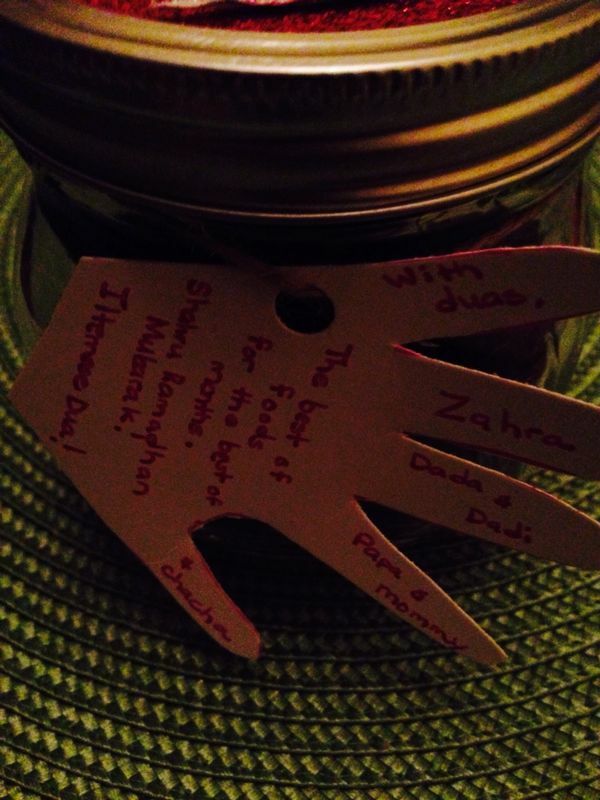 You are here: Home » Posts tagged "neighbours"
Make Iftar for your neighbours! Feeling inspired to cook now! ***We may not always see the effect but we are having one! Check out this man’s response to someone knocking on his door! “In light of recent events, I’ve felt the need to share a heartwarming experience I just had with anyone who is willing to pause scrolling for just a minute. I just had a knock at the door – I wasn’t expecting anyone, so opened the door pretty sheepishly. A lady who was clearly of Muslim faith was standing outside with a carrier bag filled to the brim with containers. Confused, I asked if she was okay – she told me her name, and apologised for knocking so late in the day before explaining that she lived on my road in another flat and was walking round the houses to give people gifts; bearing in mind that I hadn’t ever seen or spoken to her before. 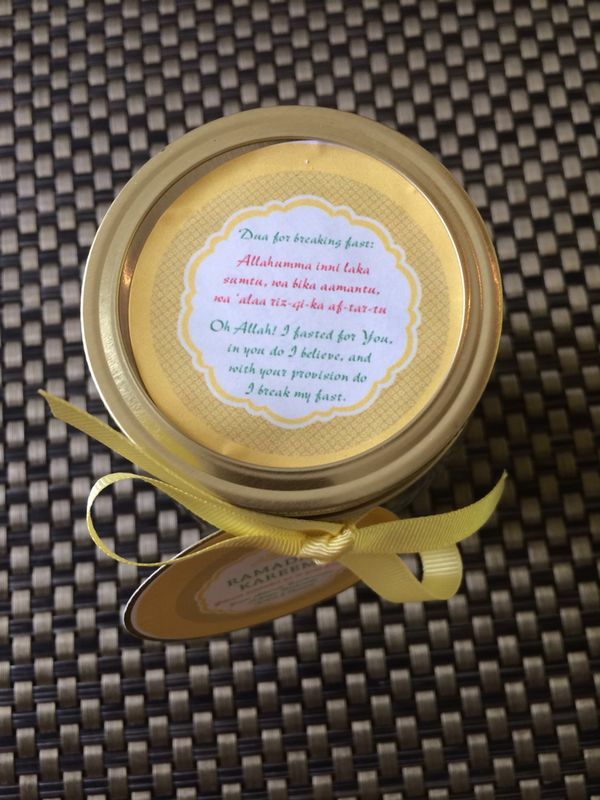 She opened her bag and handed me a selection of beautiful smelling food, wrapped in foil with a small note titled ‘Dear Neighbour’, a jar filled with Bombay Mix, and a double-sided letter titled ‘Ramadan’ – picture attached. She told me that she wanted to share something with everyone on our road to explain what Ramadan actually is for those of us who aren’t aware, and to give us the gift of food at a time when neither her, nor her family, we’re able to eat. The letter detailed what Ramadan is, why it is practiced by followers of Islam, and what the principles of Islam actually are. I had expected the knock at the door to be a disgruntled neighbour complaining about my parking, or god forbid, a political canvasser – *shudder* – I didn’t expect a visit from someone who simply wanted to share community spirit, generosity and most importantly, someone who wanted to actively share the knowledge of a religion which is currently at the center of recent events, and which is integral to the lives of over a 1/6th of the planets population. Recently there’s been a lot of headlines in the news referencing Islam in relation to the terrible events which are taking place far too regularly. I’ve found it disheartening and disappointing to see quite a few comments online, and quite a few ignorant tweets from moronic individuals which have been aimed at anyone who classes themselves as a Muslim – all because a small handful of barbaric, twisted individuals feel the need to commit atrocious acts in the name of a God they incorrectly believe they’re serving. Innocent lives have been unnecessarily lost enough times now in this country alone; not to mention the fact that the events which have happened in the UK are more of a daily occurrence for thousands upon thousands of people in less privileged countries around the world – places where the inhabitants don’t have the luxury of safety, emergency services, protection, or shelter. Some people need to be reminded that these attacks have not been carried out by true followers of Islam; these events have been carried out by Extremists who have their own fucked-up beliefs. The people affected most by these events are people within the Muslim community, who have to fight against the claims made by the so-called Islamic State on a regular basis. Today, I’ve been lucky enough to learn a bit about a religion which I’ve never invested time to learn about. If the c***s who are carrying out these destructive acts had any brains, they’d learn to read and have a flick through the Quran themselves, because as I understand, they’re clearly reading a different book entirely if it’s telling them to go and slaughter innocent men, women and children without any reason or cause. Perhaps they’ve mistaken the Holy Scripture for Mein Kampf? Alhamd, had a chance to write for The Muslim Vibe 🙂 I really really believe in this – hope you will too! “Islamophobia is rife. Sorry to start off with such a cliché, fear-mongering line but it is the unfortunate truth that in this day and age Muslims are very often getting a raw deal, and attacks on mosques and women wearing the hijab are happening all too often. There is very little the common person can do to change the over-arching factors that fuel this. As much as I (and all of you) would like to tell ISIS and other terrorists to just STOP (to put it nicely), and the media to quit propagating their biased nonsense, chances are this is not going to happen. There are a few amazing individuals amongst us who have climbed up to places of influence, and whose articles and news clips reach far and wide, and for that we are grateful. But for the vast majority of us, that is unreachable. We tend to sign petitions, share articles on Facebook, and go to marches, but the undeniable truth is that at the end of the day, just as charity begins at home, so does sharing the true Islam. We need to work on a grass-roots level, and reach out to the people that see us and come in contact with us daily. We need to build bridges. The great thing is, we can get the whole family involved! What better way to teach our children how to interact with the outside world, than role modelling it for them and encouraging them to join in. Below are a few ideas that I’ve put together to encourage us to reach out at touch the people and community around us. These ideas are all centred around Ramadhan and Eid – Alhamdulillah, Ramadhan is featuring more and more in the media today, so why not capitalise on that and let people know the deeper meanings behind what we do and why. Indeed, what better month to reach out and connect with others than this one, when we are encouraged to do good and truly practise the high moral values of our beautiful faith? In fact, in Sura Baqarah, in verse 185 that was revealed about Ramadhan and the Quran, it says “guidance to mankind”; Nouman Ali Khan explains this perfectly – the fact that it says Naas, i.e. mankind in general, means we should share the blessings of this month with the non-Muslims around us, whether directly or indirectly! This idea combines several objectives in one! 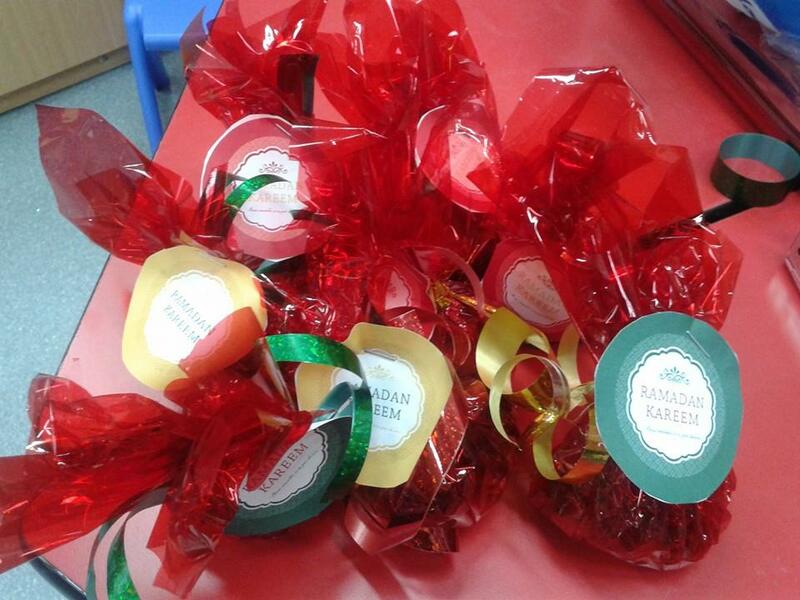 To reach out to the teachers and admin of school and let them know about the month of Ramadan, as well as a little bit about why we break our fasts with dates. It also lets them know that the children may be fasting, and what to expect during this time – that they won’t be taking part in PE, for example. 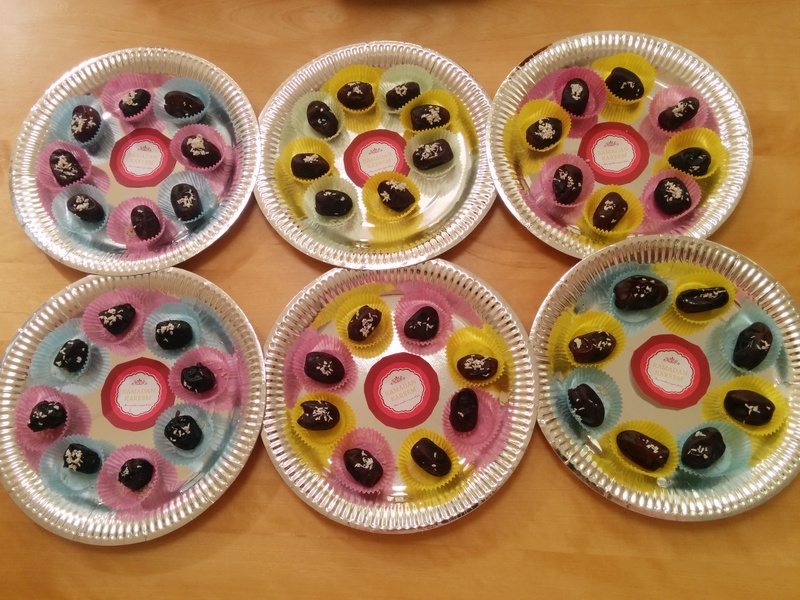 I find giving a plate or jar of dates so much prettier and fun than just a boring old note, don’t ya think?! 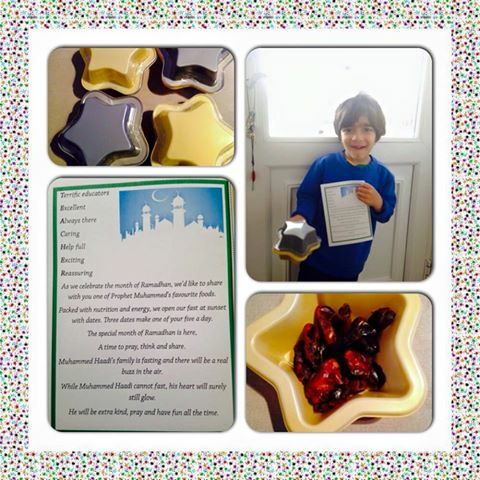 Last year, we also gave out date plates to other Muslim parents in the school – again, a great way to build bridges between us and other sects at a time when divide and rule seems to be prevalent and negativity is growing within the ummah itself. 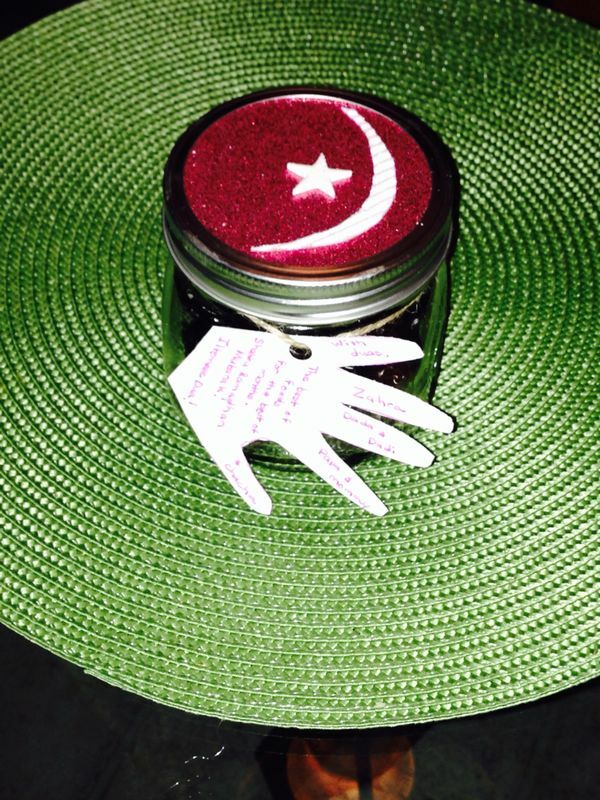 By the way, if you’re like me and not very creative design-wise, there are SO many giveaways and freebies out on the internet for Ramadan Mubarak tags and labels – ideal for just downloading and printing off. Like this one. 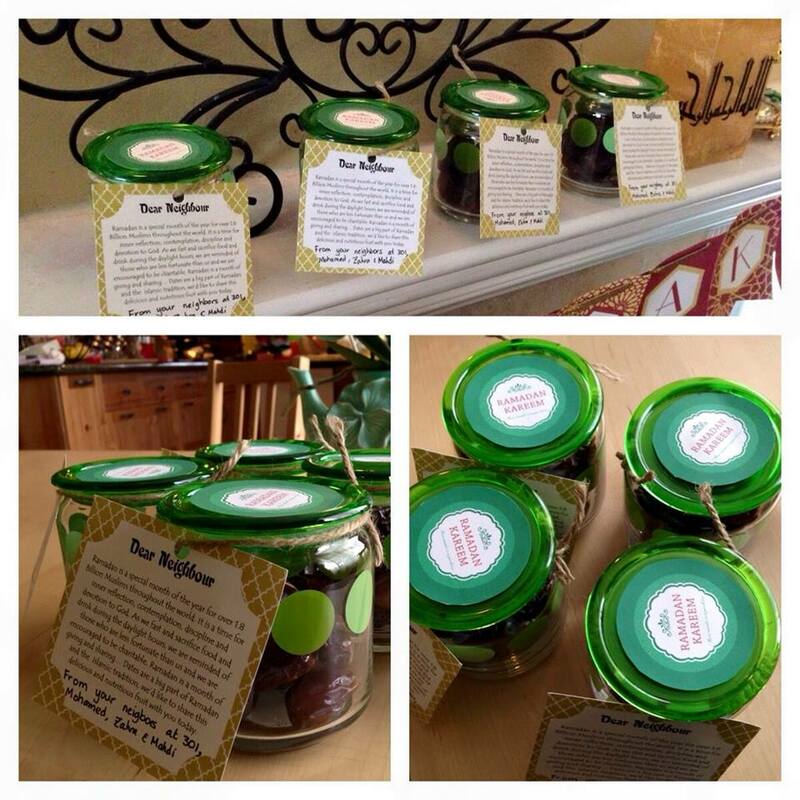 Here are some more examples of date jars and plates for inspiration also. 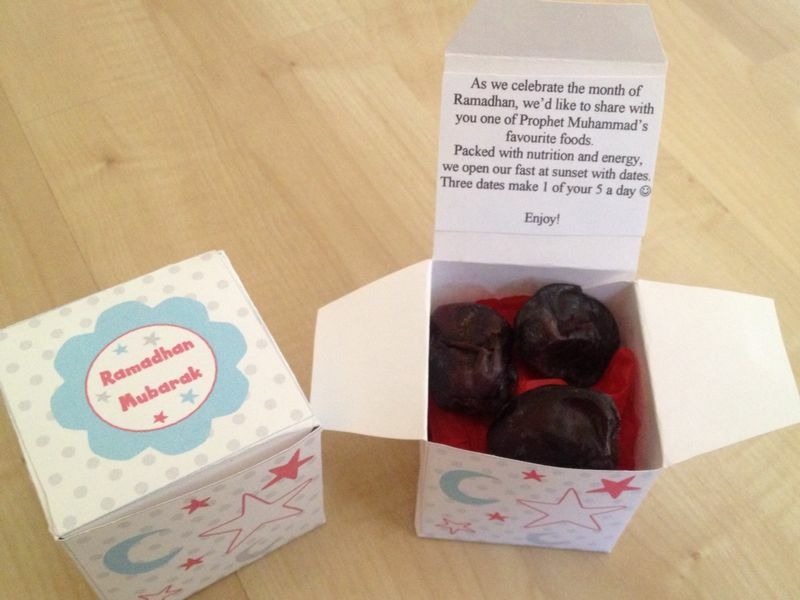 This is a great initiative that encourages people to literally ‘share’ Ramadan with others by inviting them to try fasting for a day and having them over for iftaar. I loved the concept when I heard of it, but wasn’t sure if I could try it out myself. Being a work-from-home mum, the only non-Muslims I come into contact with regularly and know quite well these days are school mums. With the long summer day fasts, I felt reluctant to ask them to fast knowing well that many of them work and have to deal with their kids, etc, and so decided not to try it. This all changed through a conversation with one of these mums at school! We were talking about Ramadan and fasting, and she said she had read about the health benefits of fasting and how it sounded great. That gave me the courage to reach out and put out feelers for this – and the response was overwhelmingly positive! 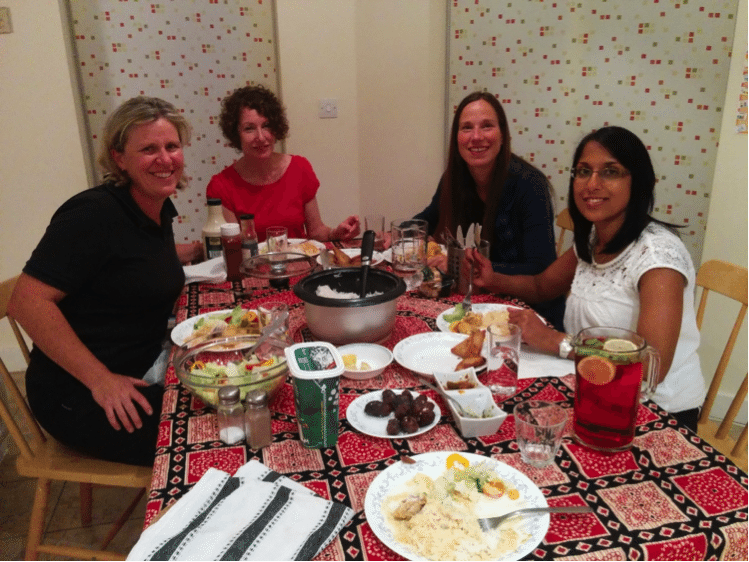 In the end I had four mums over for iftaar after a day of fasting and it ended up being one of the highlights of my month. We ate, we drank (juice, of course), we laughed, and we talk about Ramadan and fasting and much much more. Alhamdulillah, they, and others who couldn’t make it last time, are all willing to do it again this year. I had better start planning the menu! If you’re interested, you can read more about my experience here. Smiling is such a universal form of communication, you can do it everywhere and with anyone. When I moved here from the US some odd 14 years ago, I promised myself that I would bring some of the American friendliness to the streets of London. I have to admit, it’s been hard – especially when people don’t always smile back – but hey, at least I’ve done my part. I mean, if they are going to have judgments of me being a ‘towel-head’ or a ‘terrorist’ anyway, I might as well be a smiley one! 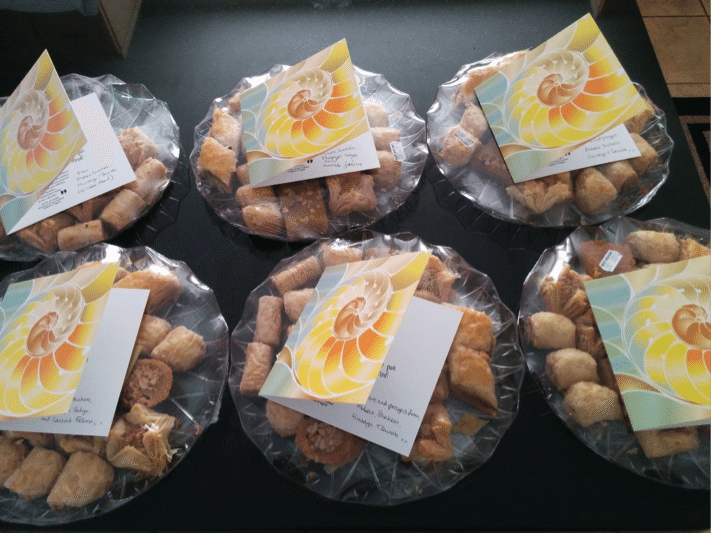 For many years now, we have given our neighbours cards and a little something on Eid. At first, I used to include a little paragraph on what we did in the month, and why we celebrate Eid, but I figured that by now they know all that and so we just give them cards made especially for neighbours by Buzz Ideazz that have either a verse or hadith about neighbours in Islam now. Just something small to show what the true Islam says! 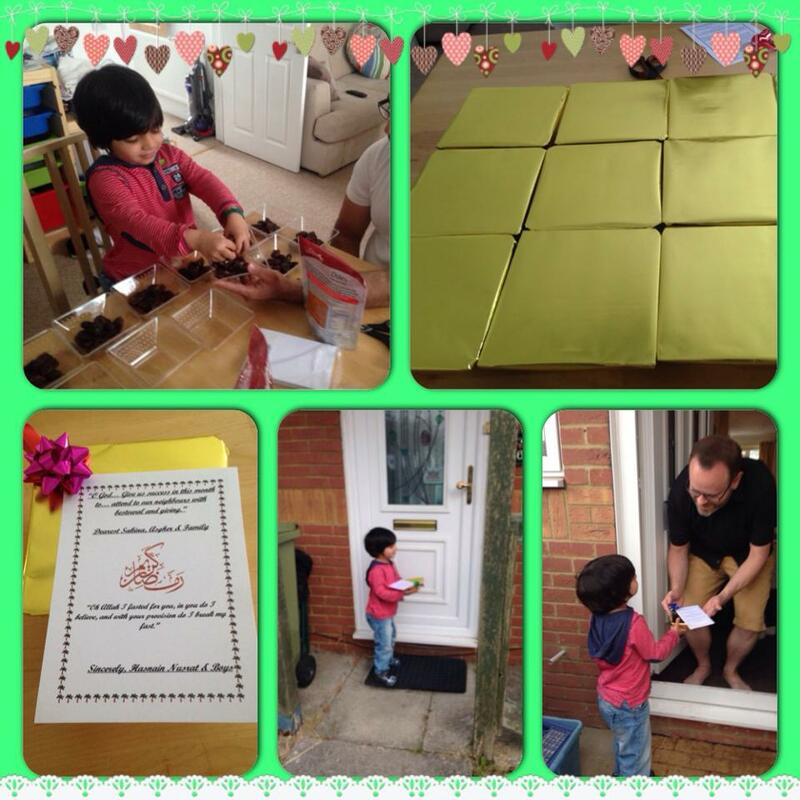 We go give these cards and gifts as a family, and it has enabled us to build such great relationships with them, Alhamdulillah. They look after our house when we’re on holiday, and reciprocate with presents for the children at Christmas time. 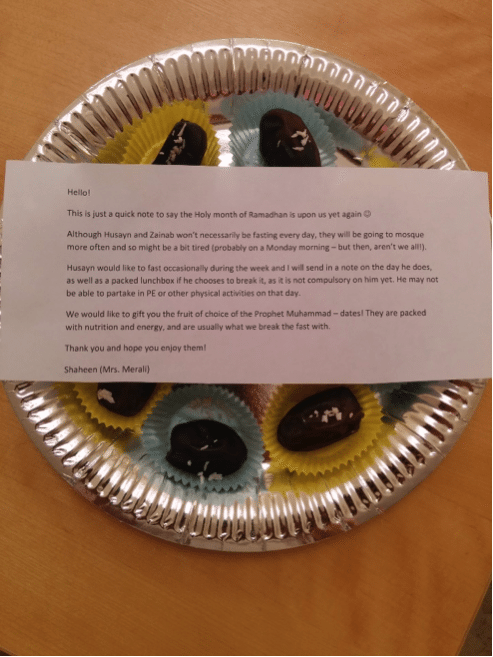 The very first time we gave such a card to a neighbour, they came by the next day and gave us a card back, and thanked us for sharing our religion with them! 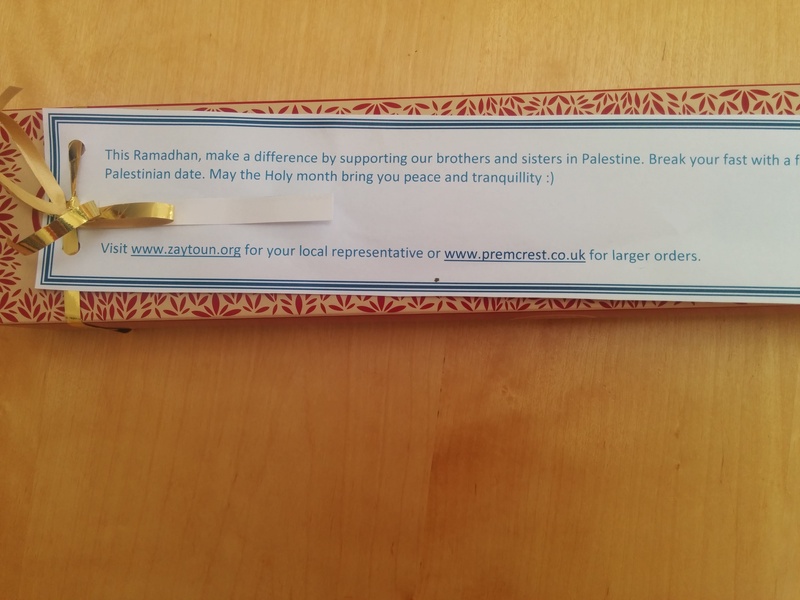 My sister started doing this too, and has since been invited over for tea by her Jewish neighbours. Alhamdulillah – as I said at the beginning, one person/family at a time. Sometimes I hear people say, “I’m not going to do that, my neighbours are awful”… to that I would say that there is even MORE reason to reach out and give them cards. To receive love and goodness, we must give love and goodness. Isn’t our history full of that? Take the example of the lady who threw rubbish at the Prophet. He responded by visiting her when she was ill and asking after her, and she, overwhelmed with his goodness, became a Muslim. Enough said. 5. Why stop at the neighbours? Give out Eid cards to community institutions as well! Another tradition we started a few years ago was honouring the institutions in the community that serve us. 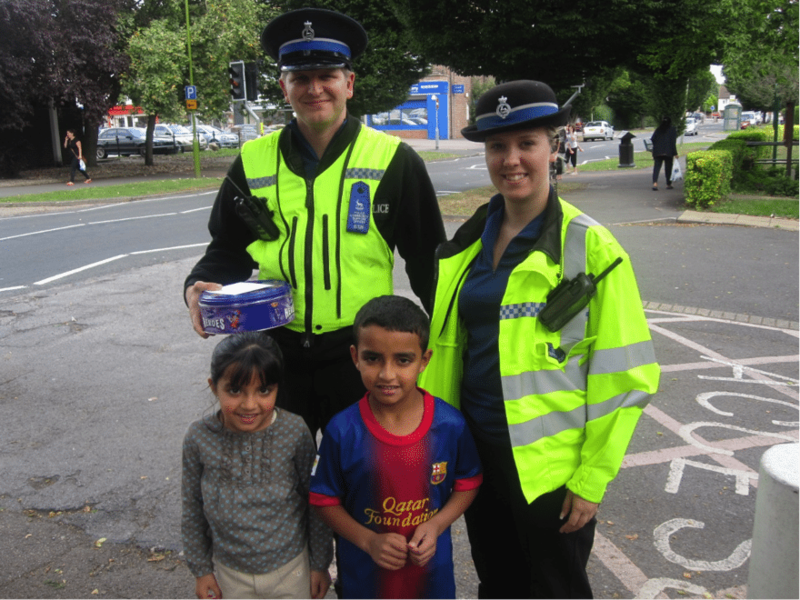 We go to drop off an Eid card and box of chocolates to the police station, fire station, doctor’s office, library, and even the postman! In the card and personally, we make sure to thank them for everything they do for us. 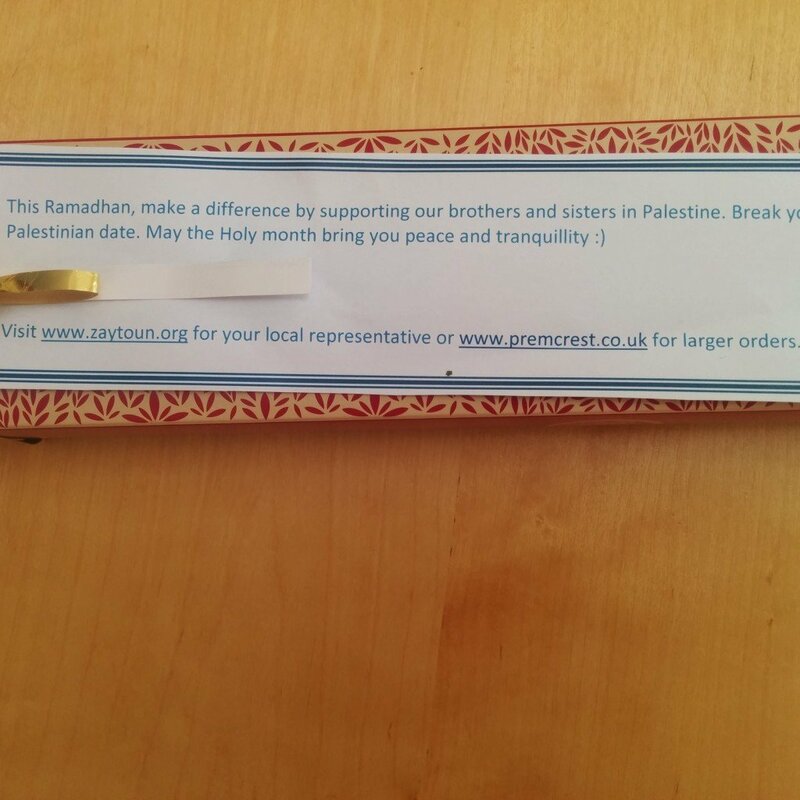 Last year, we saw our card up in the library wall for ages after – another bridge built, Inshallah! 6. Let your children give out Eid cards to their teachers and classmates. And finally, let your children start reaching out from now too! My son always used to complain that his school had a little postbox at Christmas time, and all his friends were giving out cards to celebrate their festival, and why couldn’t he? 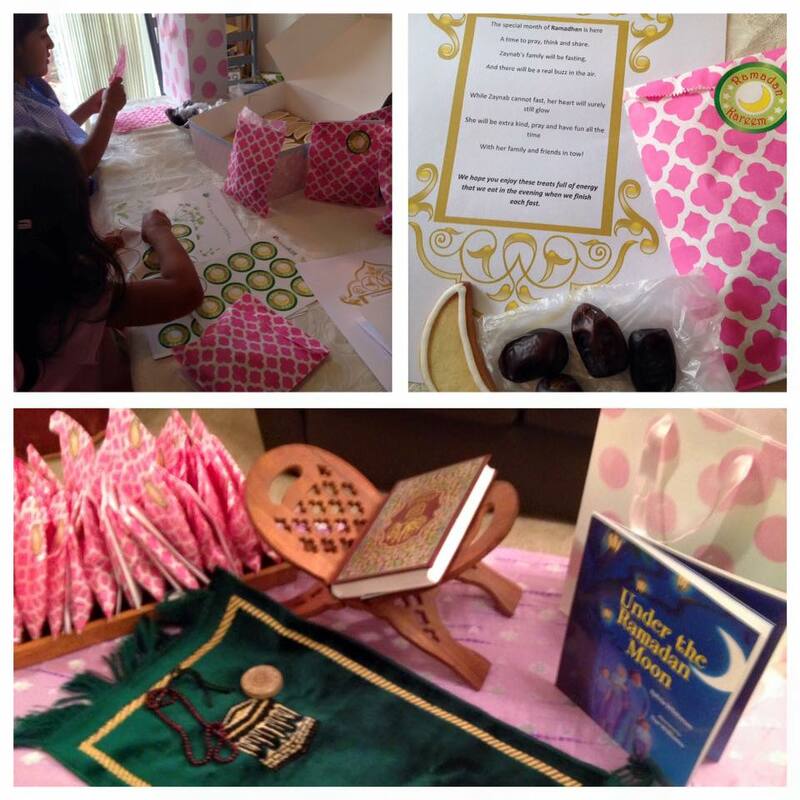 So Buzz Ideazz created little Kidzz cards which they can now give out to their classmates and teacher for Eid! There is also a range of inter-faith Christmas cards for classes too, but that’s for another article ;). Don’t forget, anything that goes to the children goes to their parents too, so in this way we are reaching out to many more people too. 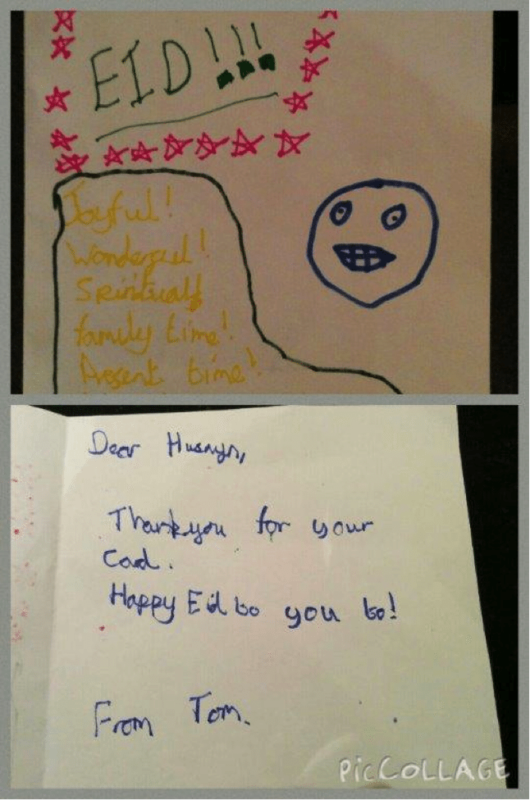 I have had parents approach me to say thank you for the card and wish me, but what I will never forget is how a (non-Muslim) friend of my son’s was so touched by the card that he went home and made a card for him in return. Even more poignant were the words he had written on the front – ‘Joyful! Wonderful! Spiritual! Family time! Present time!’ Eid summarised in a perfect few words indeed! Well, that’s all for now, folks. It would be great to hear from you – if you have any more ideas to add to this list, I would love to hear it! Please comment below or drop me a line with all your ideas on info@buzzideazz.com. 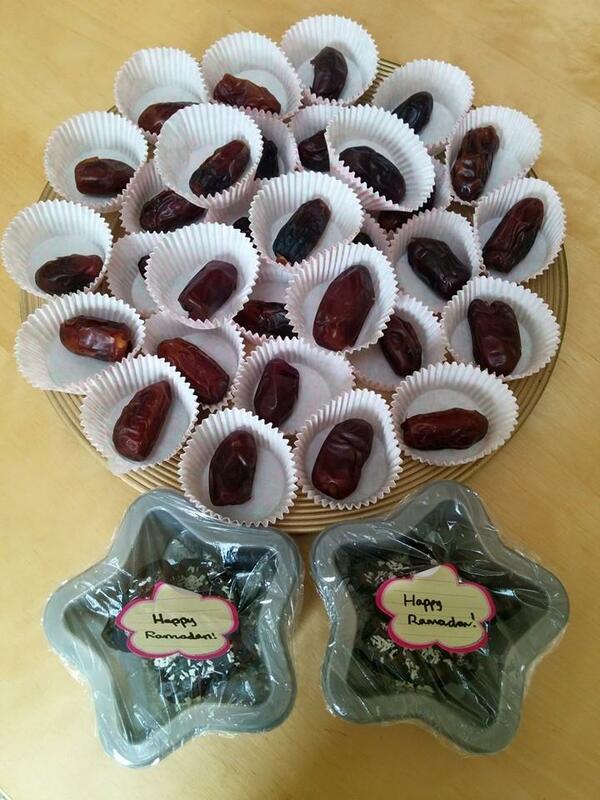 Remember this post from last year about sharing dates with your neighbour? Well I came across a much prettier (and free printable!) 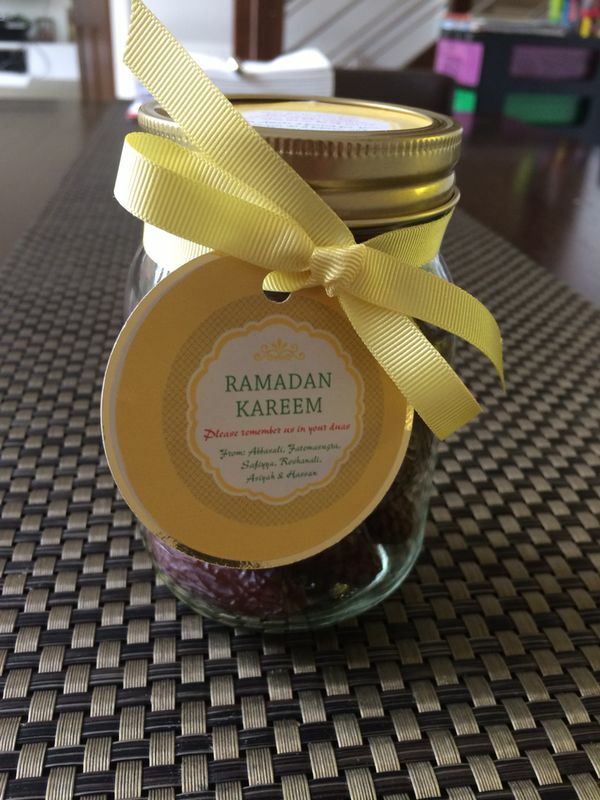 version and posted in on Facebook for all the wonderful members of our page there – http://www.modernmuslimhome.com/blog/ramadan-date-jars – and then so many people started sending in their versions of it! It is the month of Ramadan! Ramadan is a special month of the year for over two billion Muslims throughout the world. It is a time for inner reflection, devotion to God, and self-control. Muslims think of it as a kind of tune-up for their spiritual lives. Fasting has many special benefits. Among these, the most important is that it is a means of learning self-control. Due to the lack of preoccupation with eating or drinking and other such physical appetites during the daylight hours of fasting, the focus is on one’s spiritual nature, which becomes a means of coming closer to God. Ramadan is also a time of intensive worship, reading of the Qur’an, giving charity, purifying one’s behaviour, and doing good deeds. As a secondary goal, fasting is a way of experiencing hunger and developing sympathy for the less fortunate, and learning to be thankful for and appreciate all of God’s bounties. Fasting is also beneficial to the health and provides a break in the cycle of rigid habits or overindulgence. 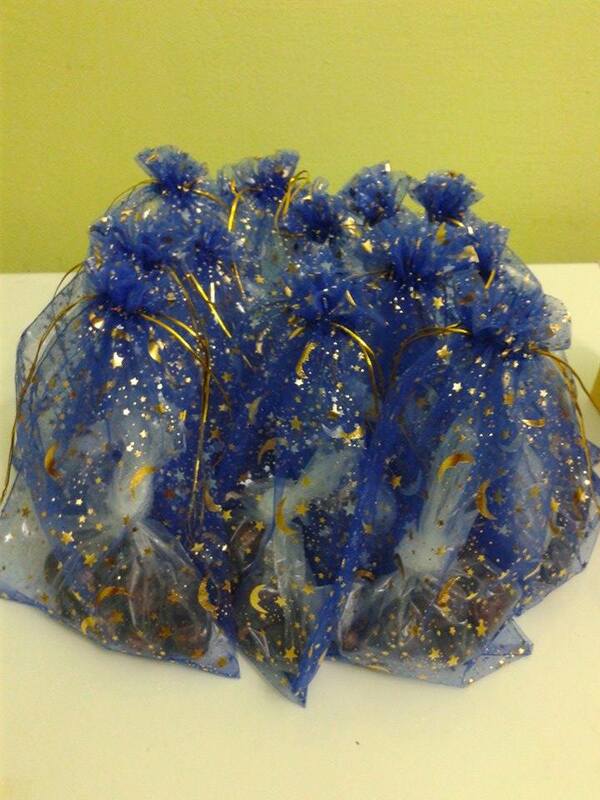 Muslims break their fast with dates, and today, we would like to share this delicious and nutritious fruit with you. Take some time our this weekend (or any weekend this month!) to give out these amazing quality cards which have been carefully worded so as to intrigue and inspire the reader to check out the website. Even if one person from your whole street goes online and learns about our Imam, you will have made a difference! To get some cards please visit their website and/or facebook page. Or go to their resources and simply download if it’s more convenient for where you live.